On 6 September 1522, Juan Sebastián Elcano and 17 other men sailed into Spain and became the first people to curcumnavate the world. On June 27, 1898, Joshua Slocum sailed into Newport, Rhode Island and became the first man to single-handed circumnavigate the world. But on 22 April 1969, Robin Knox-Johnston sailed into Falmouth England and became the first man to single-handed non-stop circumnavigation the world. Deep Water is a riveting documentary about the Sunday Times Golden Globe Race. It is a true story of daring adventure with failure and triumph. In the summer of 1968 nine men sailed out on the first solo non-stop circumnavigation of the world. Six of the sailors dropped out of the race because of issues with their ship. One sailor never finished as he continued sailing on his personal adventure. 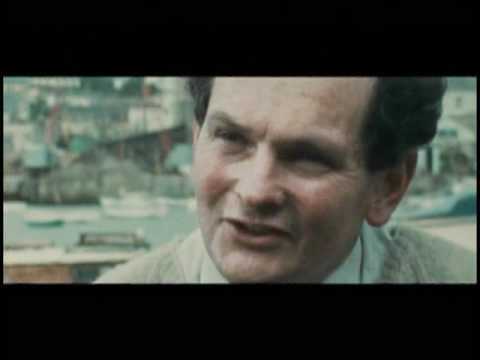 Which brings us to the most unusual aspect of this story, Donald Crowhurst. An amature sailor and briliant enginer he believed he could sail a 30 foot trimaran around the world. He never expected to win but to finance the adventure he sold his story to the media. His agreement did not require him to win but he could not drop out of the race unless his ship could no longer be sailed. From the start his inexperience showed as he had trouble translating theory to actual practice. I believe as he sailed south and approached the roaring 40s fear began to set in which led him to his decision to hide off the coast of Brazil and eventually leading to his suicide in the Mid Atlantic. The other anomaly in the mix was the French sailor Bernard Moitessier. He set sail in his 40 foot ketch Joshua and was poised to with both the prize and the trophy but after his journey around the bottom of the world he began to sail back to finish the race but suddenly turned back south and continued to sail around the world to become the first man to solo circumnavigate 1 1/2 times around the world. This opened the door for Robin Knox-Johnston to become the first man to single-handed non-stop circumnavigation the world.